Manolita is an association and trade show executive with proven experience leading non-profit and prestigious organizations. She is a gifted leader who excels at developing high-performing teams and driving efficiencies. She was a former member of the Board of Directors at the International Association of Exhibitions and Events (IAEE). She has served in senior managerial positions at the University of California-Davis, Western Veterinary Conference (WVC), National Council of Juvenile and Family Court Judges (NCJFCJ), and currently at the North American Veterinary Community (NAVC) as Vice President of Exhibit Sales and Operations. Manolita is known for her work and achievements while at the WVC, where she helped transform the association into one of the largest continuing education providers in the world. She was the Chief Operations Officer at WVC, responsible for the day-to-day operations of the association. She led and mentored high performing teams. During her 17-year tenure, she implemented technologies to support programs and processes. She helped transition WVC from a 5,000-attendee conference to a nearly 15,000-attendee conference. She developed and managed a $15M+ annual operating budget. She worked closely with the CEO and Board of Directors and was intimately involved in the development and implementation of the association’s strategic goals. Based on her work at WVC, she has received various awards and recognitions and was recently selected as the first and only non-veterinarian honoree from the Germinder & Associates 20th Year Power of Pink Celebration (Power of Pink Honoree – Manolita Moore). 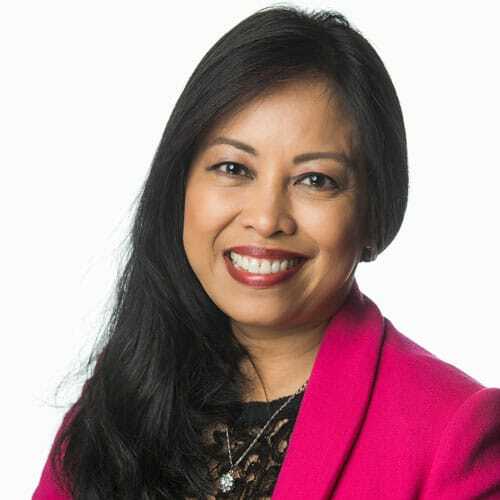 Manolita graduated with honors and earned her Bachelor’s Degree in Business Management and Master’s Degree in Business Administration from the University of Phoenix. She also graduated from the IAEE’s Krakoff Leadership Institute in 2011. She is a member of the International Association of Exhibitions and Events (IAEE), Florida Society of Association Executives (FSAE), and American Society of Association Executives (ASAE). She is currently pursuing a designation from ASAE as a Certified Association Executive (CAE). Manolita enjoys practicing hot yoga, golfing, cooking and spending time with her sons, Michael Jr. and Matthew.